Our philosophy is to treat the individual, looking at the unique demands and stresses placed on the shoulder or elbow, whether you are a top class sports person, weekend warrior, or battling with everyday activites. We look at the whole person and lifestyle in an effort to target our treatment to your specific needs, realising that the shoulder or elbow is just one part of a complete picture. We also aim to teach you about your condition to encourage an active participation in your recovery and continued self management. 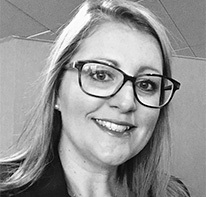 Tanya graduated from the University of Cape Town in 1988. She has had a varied career practising in all disciplines of physiotherapy. Although she has experience in, and enjoys treating, all musculoskeletal disorders, she has developed a special interest in the shoulder complex. At the invitation of shoulder specialists she was involved in the development and implementation of shoulder programmes for the management of postoperative shoulders. Tanya screens and treats athletes of all disciplines both amateurs and professional. She has a keen interest in shoulder biomechanics, the sporting shoulder, and injury prevention. Working with biokineticists, she has drawn up rehabilitation and prevention programmes and return to sport programmes for professional athletes. 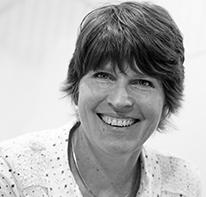 In 1997, Tanya completed a Post Graduate Certificate in Orthopaedic Manipulative Therapy. In 2012, she completed a Masters in Trauma and Orthopedic Management at Salford University. She has recently (February 2016) completed a PhD researching the relationship between shoulder biomechanics and various shoulder pathologies in professional sportsmen as well as non-sportsmen. Tanya likes a challenge, and therefore enjoys treating complex shoulder problems. Tanya has several publications in peer-reviewed scientific journals. She has presented at several international conferences on the sporting shoulder. She also finds time to lecture on the assessment and rehabilitation of the shoulder. 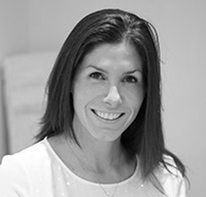 Julia graduated from Nottingham University in 1999 and has worked as a specialist shoulder physiotherapist for 13 years. Julia developed her interest in the shoulder after she joined the Nottingham Shoulder and Elbow unit in 2002. During her time there she gained extensive experience of tertiary referral complex shoulder conditions, treating patients form all over the United Kingdom in the NHS and in private practice. 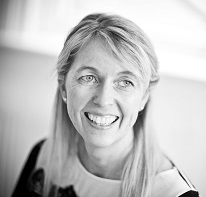 In 2004 she moved to Bristol and developed a new specialist shoulder physiotherapy service treating patients with complex shoulder conditions and atraumatic shoulder instability. She ran a problem shoulder clinic for local physiotherapists to bring complex patients for joint assessment and treatment planning. She founded the South West Shoulder Group, which was set up to share knowledge and support physiotherapy colleagues managing shoulder patients through out the region. In 2012 Julia moved North and joined the Wrightington Upper Limb Unit where she continues her highly specialist shoulder practice. She works closely with her shoulder surgeon and therapy colleagues managing complex shoulder patients from all over the country. As part of this team she is actively involved in clinical research, teaching and regularly hosts national and international visiting clinicians to the unit. Julia treats all shoulder conditions from elite athletes to shoulder complaints that trouble patients in their everyday life. She has extensive experience in pre- and post-operative rehabilitation. Julia believes the key to successful management of shoulder problems is communication and education. She enjoys the opportunity to share her specialist knowledge with patients, colleagues and works closely with coaches and teams. Julia lectures nationally and is published internationally. She is also co-author of a new ‘Shoulder Exercise Book’ to be available soon. Chris joined the team at Manchester Shoulder Clinic in 2010. She has a specialist expertise in shoulder and elbow rehabilitation, in particular acute and chronic traumatic shoulder injuries. These include shoulder dislocations, AC joint disruptions, impingements and rotator cuff injuries. Having seen hundreds of shoulder injuries, she has designed particular programmes to aid their shoulder back to normal function. Chris also works closely with Strength and Conditioners, working on weight training programmes for shoulder injuries at various levels. Christine has an immense experience working in professional sport. She was Salford Reds Rugby League Head Physiotherapist for 9 years. She has also had the opportunity to work at national and international levels with rugby league players, working as head physiotherapist for Lancashire and Scotland Rugby League. She has also had the opportunity to work with cyclists in the Velodrome at the Commonwealth Games in Manchester in 2002. Other shoulder rehabilitation sporting knowledge includes golf, tennis, running and gymnastics. Another special interest is musculoskeletal screening in particular shoulder biomechanics, preventing injuries before they occur. She has worked with England Elite Youth with their medical screening testing. This is to identify weaker points to help promote performance. Chris has also had the opportunity to lecture on shoulder rehabilitation with shoulder specialists. Jill joined the Shoulder Clinic in 2018. She specialised in upper limb physiotherapy in 2009. During this time she has gained a wealth of experience in treating patients with shoulder, elbow, wrist and hand problems in the NHS and in private practice. In 2013 she joined the Wrightington Upper Limb Unit as an elbow and shoulder specialist physiotherapist. Her passion lies in managing elbow problems, in particular preventing stiffness following trauma, tendinopathy and instability. She has established a successful tennis and golfers elbow rehabilitation programme. Jill’s approach to elbow rehabilitation includes addressing the full kinetic chain including shoulder, wrist and hand to achieve optimal elbow function. Managing patients with everyday pain that limits their function, through to elite athletes; Jill manages patients as individuals to achieve their goals, be it to compete internationally, or return to work. She works closely with her orthopaedic colleagues, team doctors or physiotherapists, or local physiotherapists to achieve maximum potential for her patients. Jill is actively involved in the education of physiotherapists and surgeons. She lectures on Masters programmes, and nationally on courses. In 2016 she established a Northwest Elbow Special Interest Group for physiotherapists who wished to improve their elbow knowledge and outcomes.